Much of conceptual reasoning in the science classroom is best understood through starting with misconceptions, realizing the underlying causes, then reinforcing those causes with other similar concepts. Having taught my 6th graders movement physics earlier this year, they were already familiar with gravity and acceleration. They had been shown that gravity IS an acceleration, but most were not yet proficient with how the two concepts relate. The next part of this States of Matter unit, is about Boyle’s and Charles’s gas laws. I wanted to bridge this gas unit with our previous unit on thermal energy exchange through changes of state. We made ice cream and measured the thermal energy lost from the cream to melt the ice in the outer bag. Then, the Pear Deck questions reinforced their understanding of gravity and acceleration. So, Friday Feb. 9th, I decided to demo a hot air balloon in class and use Pear Deck formative assessment questions to become the conceptual glue. I got a long trashcan liner from the custodian, and used two kids to help hold the bag as it inflated with excited hot air from a bunsen burner on the floor. For each class we got a “wow” moment as the bag would fly up to the ceiling and slowly fall back down. Then, I had them use table partners to answer two peardeck questions for the remainder of the period. This was the first time we didn’t have enough computers for everyone, so it worked like a Think-Pair-Share with only one computer for every two kids. 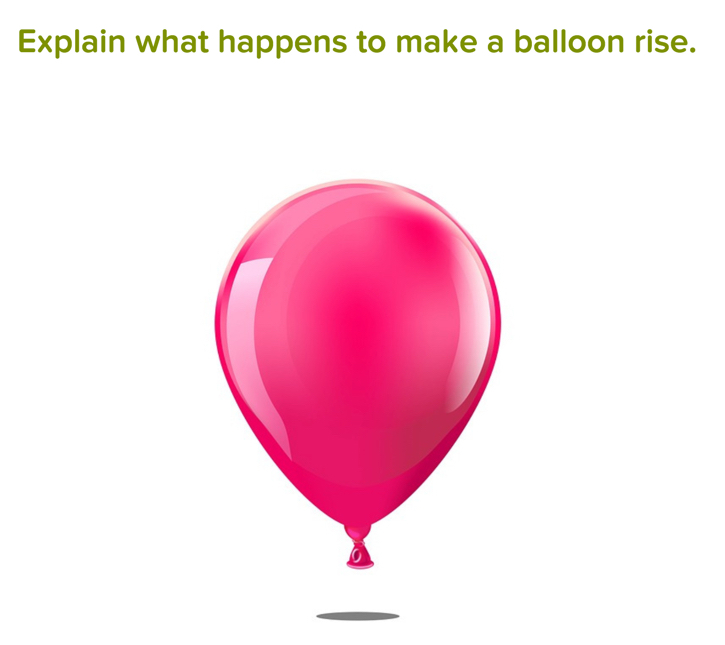 The first question was simply “Explain what happens to make a balloon rise?” Seems simple. “hot air rises” is most people’s answer. 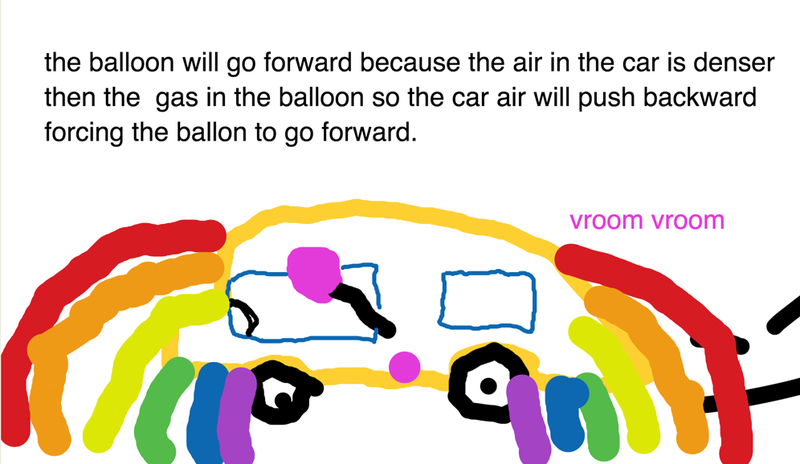 But, They already knew that would not be acceptable since our homework assignment this week was on why hot air balloons work better on colder days than warmer. They learned through that assignment that the colder air surrounding the canopy “pushes” the less dense air up. 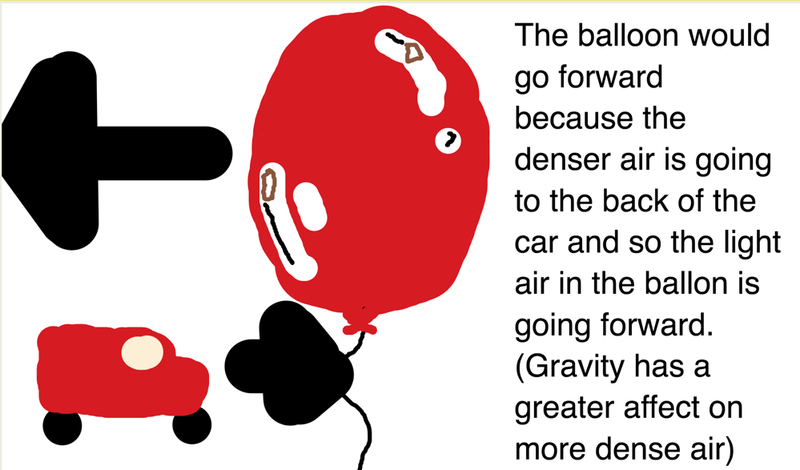 That the force to push the balloon comes from the surrounding denser air. I warned them that gravity was part of the answer and they needed to include it. They had to relate their answer to a demonstration on density and ping balls rising up through corn I showed at the beginning of the year. Eventually I hinted they could mix the changing density with why the push comes from the denser air – that gravity provided the force to give the denser molecules a push. During these questions, I’m talking kids through them, projecting answers, and challenging them to explain logically. Then, I let them use most of the remaining time in the period to change their answers accordingly. 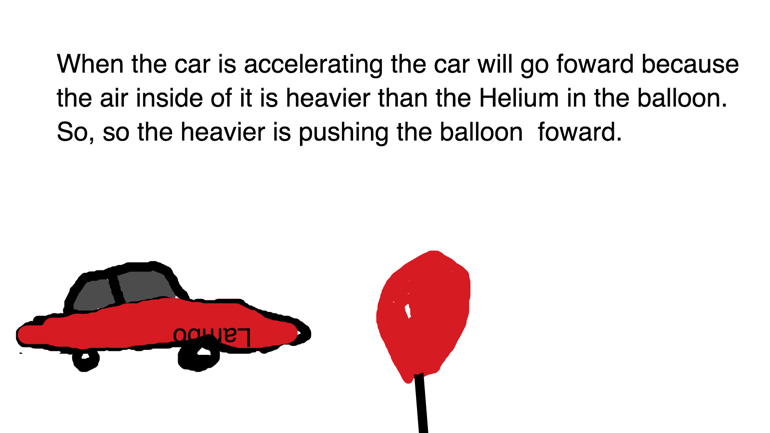 In the second answer below, the student demonstrates that he has matched the two concepts of gravity and acceleration by using the word gravity for what happens in the car, when he means acceleration. To me, this illustrates the success of using the concept of densities and buoyancy to show that gravity and acceleration are the same thing. The kids had so much fun with the draw tool! And, better than that, they learned how and why buoyancy, density, gravity, and acceleration are all related!